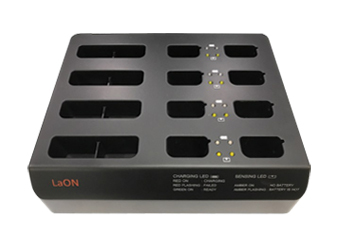 Seven port units for charging the LTWI-BAT150 and LTWI-BAT50 Rechargeable Battery Packs. Up to five Belt Packs and two BAT50 batteries can be charged in one LTWI-BATCHG125 simultaneously. Up to two LTWI-BAT150 Rechargeable Battery Packs can be charged instead of the two Belt Packs. 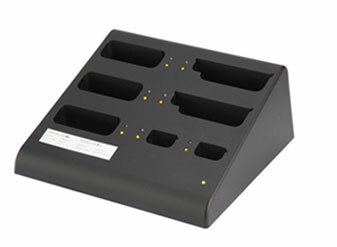 Eight ports for charging the LTWI-BAT50 Rechargeable Battery Packs and Eight ports for storing.